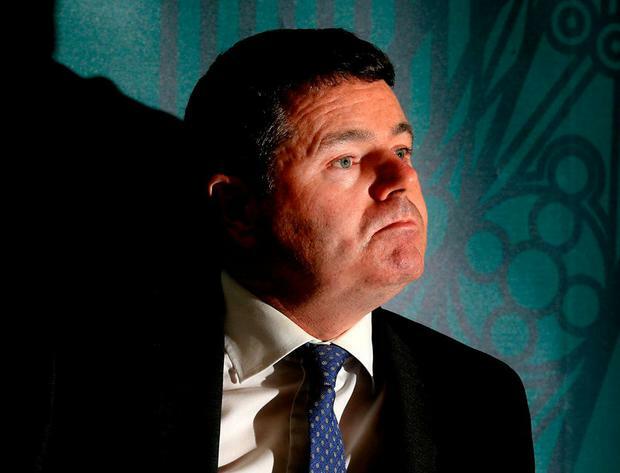 Finance minister Pascal Donohoe’s Summer Economic Statement and the Irish Fiscal Advisory Council’s (IFC) ‘Fiscal Assessment report 2018’ have been published in the last couple of weeks. According to the minister’s statement, corporation tax rose by 25pc (€414m) in annual terms and the establishment of a “rainy day fund” is important in enhancing the resilience of the public finances. The fund’s main purpose is to mitigate against future external economic shocks “including by setting aside some of the historically high levels of corporation tax receipts which can be drawn on in the event of such a shock”. Legislation is being drawn up and it’s proposed to capitalise the fund in the coming year with €1.5bn from the Ireland Strategic Investment Fund. Annual transfers of €500m from the Exchequer will commence in 2019, so that by 2021 the rainy day fund will amount to €3bn. The IFC’s report gives an example of the impact of a large foreign-owned multinational firm exiting Ireland. Previously this may have been said in hushed tones, but we’re big boys and girls now. Indeed, it was noted at the Committee on Budgetary Oversight that the risk to companies leaving is probably over the medium- to long-term with the primary concern surrounding the tax base changing. The report illustrated the impact on macroeconomic, employment and budgetary figures in Ireland due to a large, foreign-owned multinational firm exiting the economy using a ‘stylised’ example. It uses a scaled-up firm based on the relative tax liabilities of a top-10 case compared to a firm in the top 96 foreign-owned corporation taxpayers. The report notes that the stylised direct impact of a large firm leaving Ireland would be to reduce government revenues by more than €330m. This is mostly due to lost corporation tax. The exit would simultaneously directly reduce Gross Value Added (GVA) by 1.9pc, whereas the reductions to employment, employee earnings and taxes would all be considerably lower with all under 0.5pc. The report notes that these impacts consider only direct and stylised consequences. The overall effects would be larger when considering other consequences such as higher unemployment payments, lower Vat from consumption, potential reskilling of specialised labour supply, and other indirect impacts. In summary, the impact of a typical large, foreign-owned multinational firm exiting the Irish economy would be largest in percentage terms for corporation tax, followed by GVA, employee taxes, net earnings and employment. So what to do on tax? We should ensure there are no chinks in our armour from an inward investment perspective and make it more attractive for entrepreneurial companies to get and stay off the ground. One of the threats mentioned by IFC’s report is the international tax environment. We, like all other EU members, have to implement Controlled Foreign Companies (CFC) legislation as part of the EU’s anti-avoidance initiative later this year. That deals with the position where a company diverts income artificially abroad so that it doesn’t pay tax on it here. Where that happens, then the Exchequer can reach out and pull that income back home. The key will be ensuring that we don’t attack genuine commercial arrangements where tax wasn’t an essential purpose of the transaction; the European courts have given the necessary guidance there. Ireland being a good student is one thing; a swot is something else. On a related note, I eventually got around to reading Haskel and Westlake’s text Capitalism without Capital, which was mentioned by the Finance Minister at a conference earlier this year. It deals with various issues surrounding intellectual property, but it makes a point previously raised in this column regarding how a company finances its operations. Granted the book discusses that in terms of intangibles (the text’s focus), but I’d argue that relying more on equity than debt is broader in approach. The authors note that most developed countries’ tax systems favour debt over equity finance by allowing interest expenses to reduce tax liabilities but not the cost of equity – the so called “debt bias”. This can be “fixed” by removing the favourable tax treatment of debt (not good, if for no other reason than what we see our competitors are doing in this area) or allowing a tax deduction for equity. Portugal has taken measures to address the debt bias granting its Allowance for Corporate Equity (ACE) to all companies (not only SMEs). Belgium, Italy and Cyprus also have ACE regimes. Right now, we don’t have that ACE. Even the proposed Common Consolidated Corporate Tax Base (CCCTB) contains an “allowance for growth and investment” which gives a form of equity deduction. The minister in mid-May in the Dail said that “I will not support any change that infringes the tax sovereignty of this country or poses any challenge to our ability to create and attract jobs here” – and we’d all agree. However, the former Finance Minister Michael Noonan noted that the CCCTB proposal for a form of ACE “makes an interesting case for giving tax relief for equity investment in a business, which is something which should be examined further”. This wasn’t addressed in the Finance Act 2017 and it can be seen that many countries have examined this and played their ACE. Haskel and Westlake say “Now would be a good time for policymakers to bite the bullet and do it”; not quite Richard Branson’s “screw it, let’s do it” but you get the gist. The authors also look at the issue of taxing capital. They note that capital gains have since the 1990s been taxed at a lower rate than income. They say that the reason is that capital is mobile and so taxing it will “according to a large body of economic research encourage its owners to shift their capital to a lower tax jurisdiction”. Our Capital Gains Tax (CGT) rate is currently 33pc. It was 20pc back in 1998 having decreased from 40pc before that; when that rate dropped its yield increased substantially. I make this point because right now our CGT rate is one of the highest in the OECD. What goes up must come down and now is the right time for the “downward” motion in CGT rates. A swot we are not. When I was a kid, I watched a sci-fi programme every week and one line that stuck with me was that “we were flying fine until the ground came up and hit us”. As always, we are ground-breaking (rainy day fund) not ground-hitting in our approaches. We got this.